From its establishment, the Realm, has remained the only magical kingdom in existence. As a result, it has never known peace. Although the kingdom has never fallen, it must now defend against the Warlord Damian – a brilliantly merciless conqueror who uses history as a weapon. Rallying those resentful of the Realm’s magic, Damian has amassed a Legion of Warriors – the largest military force ever assembled. The Kingdom’s defeat is imminent! Maebus, the Realm’s newest King, has only ruled for six days. Yet he must now lead the magical Realmsic Kingdom through its most perilous conflict ever. Born into adversity, Demethius Jackson coped with and found inspiration in the extreme hardships he faced to later write stories of empowerment showcasing how a life journey, no matter how difficult, is necessary to discover one’s purpose and peace. Jackson is an alumnus of American University’s School of Communications. Through his ten-year career, his written works have spanned numerous forms of media such as music and television. He has also held positions at global media and cinema companies. 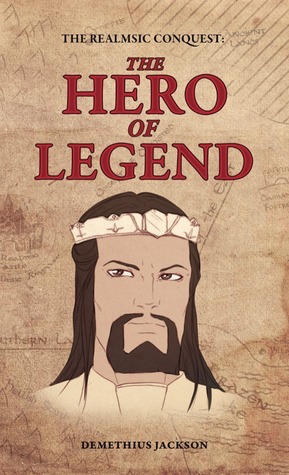 Be sure to stop by Bibliophilia, Please this week for my review and giveaway of The Hero of Legend!